Audrey Elisabet: Things | For Her - For Christmas. 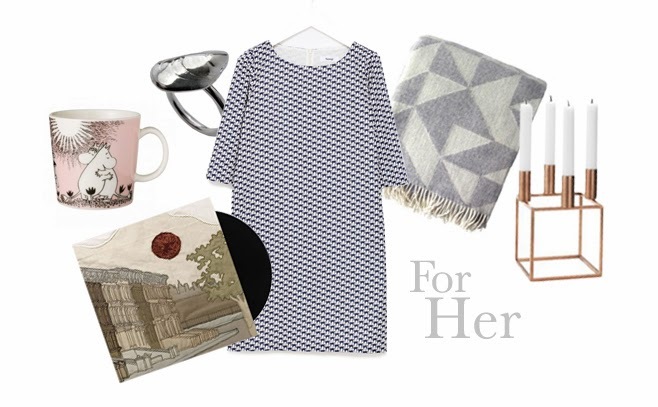 Things | For Her - For Christmas. Or should I say "For ME." I should be writing an essay or reading over a lecture, but I ended up photoshopping my Christmas wishlist. So much more fun than studying on a Monday night! I don't know if I have mentioned that before, but the holiday season is my thing. I can't get enough of it! I love every single aspect of it! Except the exams that usually happen right in the middle of my otherwise favorite month. I have always been like this. You know when you were little, and you couldn't wait for Christmas, and you got so excited that you puked.. That's me.. Still.. Even at 23 years of age. I love the cold, the food, the songs, the decorations, the traditions, and the presents! I can't lie, I do like opening up my own presents, but most of all I love carefully choosing gifts for my family and friends. I always try to find the perfect thing for each person. Usually I start forming ideas over the summer, and add to the idea list throughout the fall. For myself this year I would really just like some cozy things. A warm wool blanket, and a cute moomin cup to drink my morning coffee. A candleholder to light up the darkness that lingers long into the day. We recently started collecting vinyl records and bought my brother-in-law's collection, so we have a decent amounts already, but I would love to add to it my favorite album of all time, I'm Wide Awake, It's Morning by Bright Eyes. Finding some jewelry under the tree would not be bad either. Marinó actually just bought me a Samuji dress yesterday, so I could cross that of my list.. but I always want more! They are just so pretty. Love it! And I was totally planning on doing a gift list today too! Great minds ;) I absolutely love the "First Day of My Life" song on that Bright Eyes album. Great minds! That's one of my favorite songs.. I even thought about quoting it in my wedding vow. Can't wait to see your list.